We’ve been using A Better View for about six months now. They do an excellent job and go over and beyond what is expected. They have never once let us down or disappointed us. Excellent Service I’d highly recommend. I’ve never dealt with a better company. My overall experience was amazing! I was very impressed when the cleaning team arrived on the arranged date and time. They were very friendly and did the job in a perfect way. They asked me to check everything before they leave, which in my opinion was needless because everything was spotlessly clean. 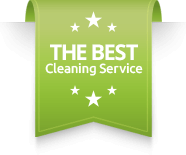 In conclusion, I want to say that I’d strongly recommend this company to anyone looking for an end of tenancy cleaning service provided with great attention to details! It took a long time for me to accept needing help in the house, I was particularly nervous of allowing strangers in. I tried a few but this hardworking family firm were the best. They are pleasant and discreet and a huge help to me in holding down a new busy full time job. Nayden was happy to work with me to find a pattern that would suit our lifestyle, they now attend for a few hours once a fortnight and are a pleasure to have in our home. Try this little tight knit family, they are super! They did an amazing job cleaning my house. And my deposit was returned in full. Highly recommended!